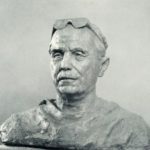 Born October 16, 1906 in the village of Shpilyovka, Sumy region, Soviet sculptor Mikhail Lysenko grew in a peasant family. 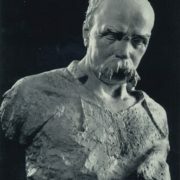 People’s Artist of the USSR (1963), member of the USSR Academy of Arts (since 1970), in 1948, Mikhail Lysenko joined the Communist Party of the Soviet Union. 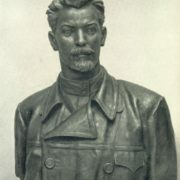 The future sculptor studied at the Kharkov Art Institute (1926 – 1931). 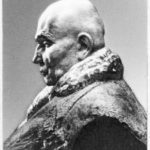 Besides, he taught at the Kiev Art Institute from 1944, and became professor in 1947. 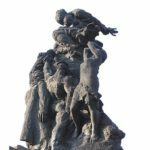 He created monumental sculptures, however, the most important of them – the “Hill of Glory” in the cemetery of Soviet soldiers in Lvov (bronze, 1947). And also a monument to NA Shchors in Kiev (with co-authors, bronze, 1949-54), a monument to Lenin in Zaporozhye (with NM Sukhodolov; bronze, 1964), and a monument to VP Zatonsky in Khmelnytsky (granite, 1969). 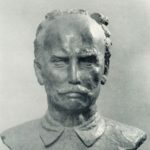 Lysenko received the Order of Lenin and the Order of the Red Banner of Labor and medals. Mikhail Lysenko died in the city of Kiev, May 8, 1972, after a hard trip to Turkmenistan. He was buried at the Baikovo cemetery. In 1974, at the studio of Dovzhenko was filmed a documentary “Human Memory” about the life and career of Mikhail Lysenko. After the sculptor was named the ship. On the 80th anniversary of Lysenko, on the house at Bolshaya Zhitomirskaya 8/14, where he lived, was established a plaque, sponsored by his son. 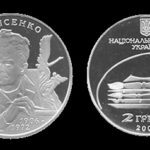 In 2006, was issued a commemorative coin dedicated to the Ukrainian sculptor, People’s Artist of the USSR, academician Mikhail Lysenko, the nominal value of 2 hryvnia. However, after the coup in Ukraine in 2014, attitude to the sculptor has changed. 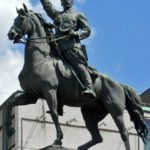 His monuments are demolished. Monument to “Soviet citizens and prisoners of war – soldiers and officers of the Soviet Army, shot by German Nazis in the Babi Yar” – a monument in memory of the more than one hundred thousands of civilians and Soviet soldiers, who were captured and destroyed by the occupiers and their Ukrainian collaborators in Babi Yar during the Great Patriotic War . 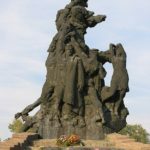 During the German occupation of Kiev in 1941-1943 Babi Yar became a place of mass executions of civilians by the German invaders in the vast majority – the Jews, who were shot on an ethnic basis, and who have been ordered to come to the territory of Babi Yar. Besides them were killed Gypsies (also based on ethnicity), as well as some of the Soviet activists, and others. 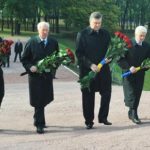 The monument was established July 2, 1976 (the territory was later called the National Historical Memorial Park “Babi Yar”) in Kiev. 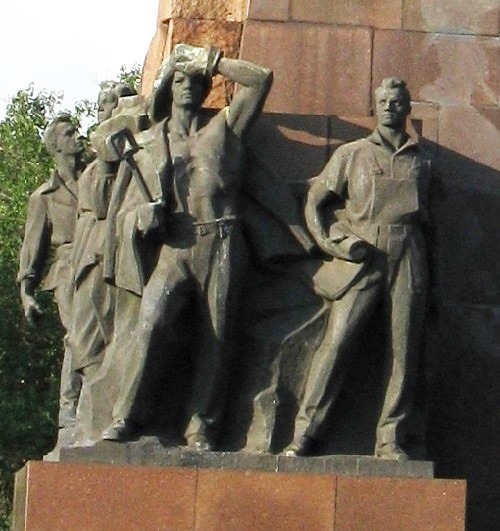 The monument by the sculptor academician of the Academy of Arts of the USSR, People’s Artist of the USSR, MG Lysenko, A. Vitrik V. Sukhenko, architects A. Ignashchenko, and N. Ivanchenko.